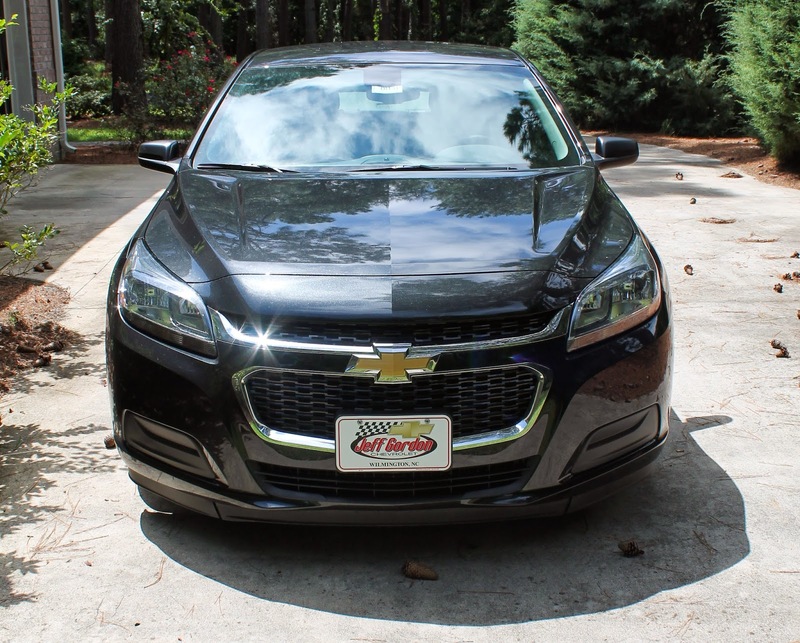 I’m excited to continue with my Jeff Gordon Car Reviews today as I talk about my weekend with the Malibu! 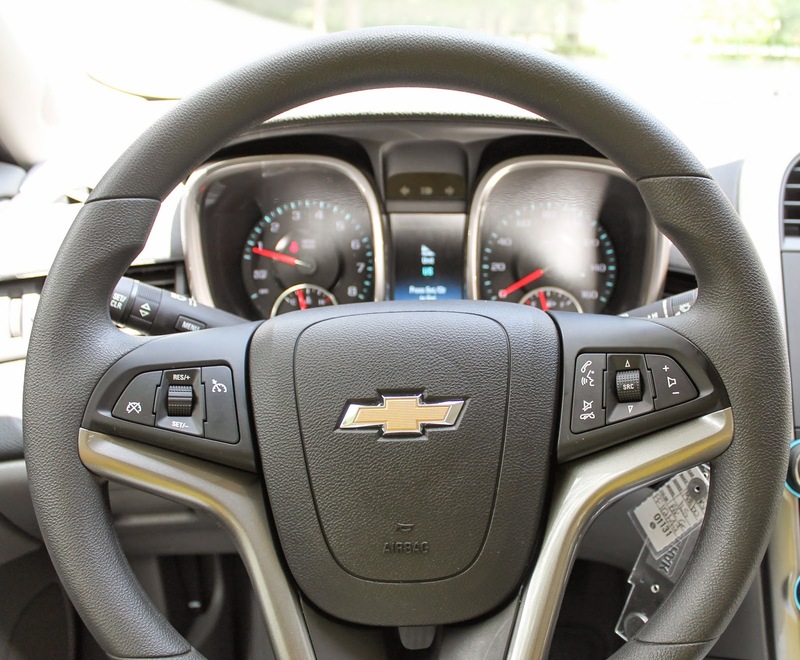 If you missed my review on the Equinox you can find that here. 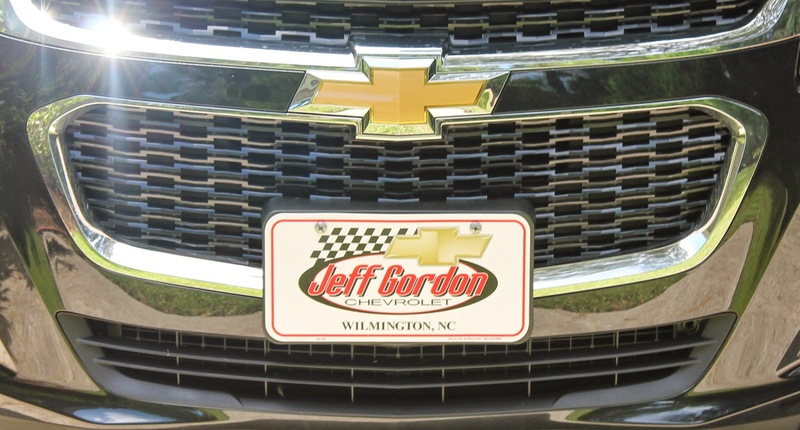 And as always you can check out all available Chevrolet cars at Jeff Gordon Chevrolet or online here. Price Range of car: The average paid for this car is $22,000 - $29,000 and that is according to US News. How does it drive: This car is a good ride for sure. It drove smooth and was so easy to navigate. It is a compact car so my sister-in-laws and I took it shopping one day to test it out. It was very easy to pull in and out of small parking spaces and drive through those tiny streets of shopping centers. It was also pouring down rain and I will say the car felt safe even during the downpour. Safety Review: I have no doubt in my mind that I was safe while driving this car. It has all-over airbags and a superb safety rating by the USN. With that said, it is a small car. And I think I may have a complex or something, but I’m just not going to feel as safe in a small sedan as I am in a big SUV. Is anyone? 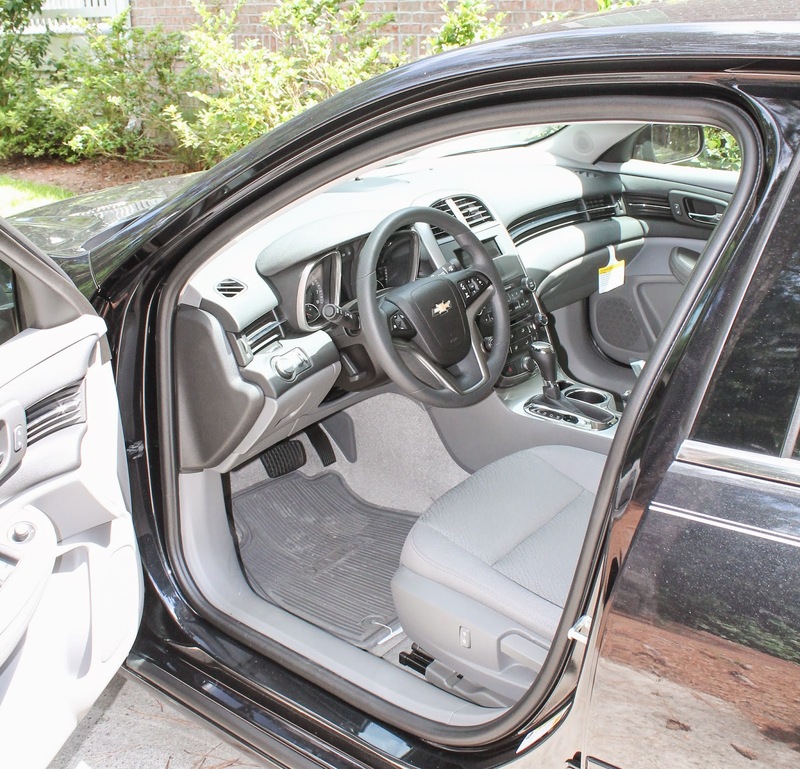 But, again I never felt unsafe in any way and this car is much easier to navigate than a big ole SUV that’s for sure! Like I said I chose to drive it around Myrtle Beach and on highways in hurricane-like weather and it never lost traction or made me feel out of control. I attribute some of that to the traction control (I talked about that in the Equinox as well) and I am convinced all of my cars from now on must have this! Overall, this car is safe and I would pack up my family in it in a heartbeat. Interior Review: The interior is perfectly comfortable and the girls and I had no problem getting in and out and packing in our Anthropologie bags. My mom has a Malibu for her job because she travels so much and I know she raves about the comfort. 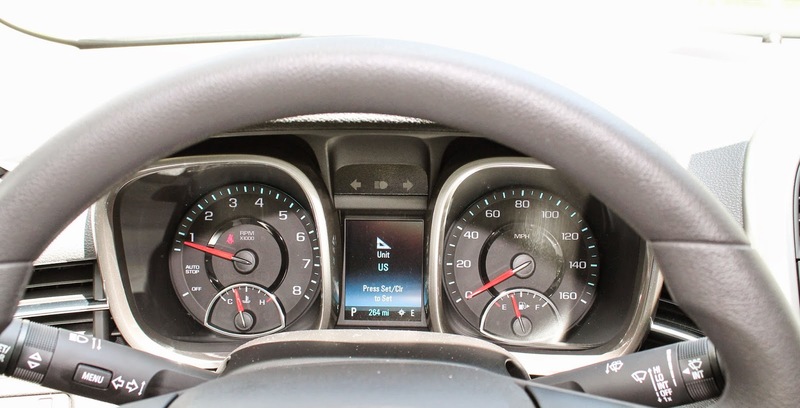 She spends a lot of time in hers and a lot of miles on the road and she is always saying how easy it is to drive. However, I have to give the opinion of my husband as well. He drove it back from Myrtle Beach and well, he was a little uncomfortable. He is 6’4’’ and he was uncomfortable in my old Lexus SUV too – I mean my man’s got some long legs, ya know? So if you are a tall man or woman, say over 6’2’’ I’m sure you would agree that maybe a car with a bit more leg room is a better fit for you. Other than that, comfort is your friend here! 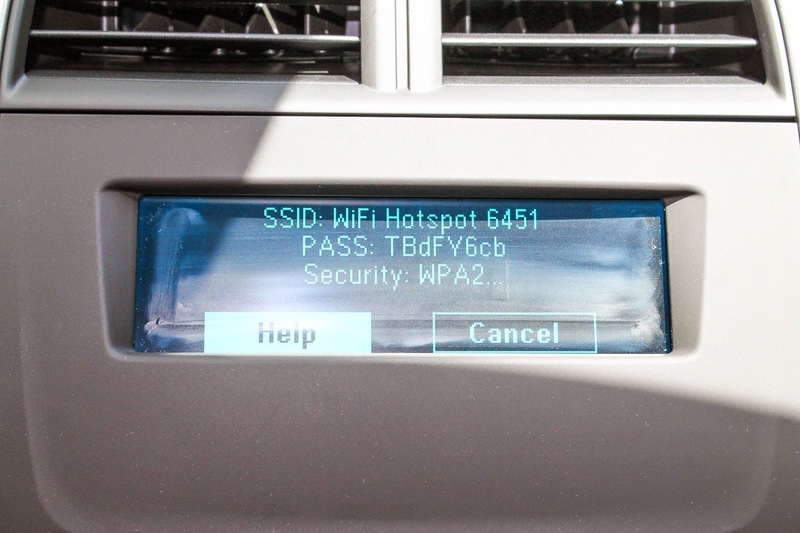 Another amazing feature to mention: IT HAS WIFI! Yes, you heard me right. This car has WiFi so when using my maps on my phone I didn't have to use my data via 3G. It also makes it nice for passengers to search their phone without using data. Amazing my friends. Truly amazing. 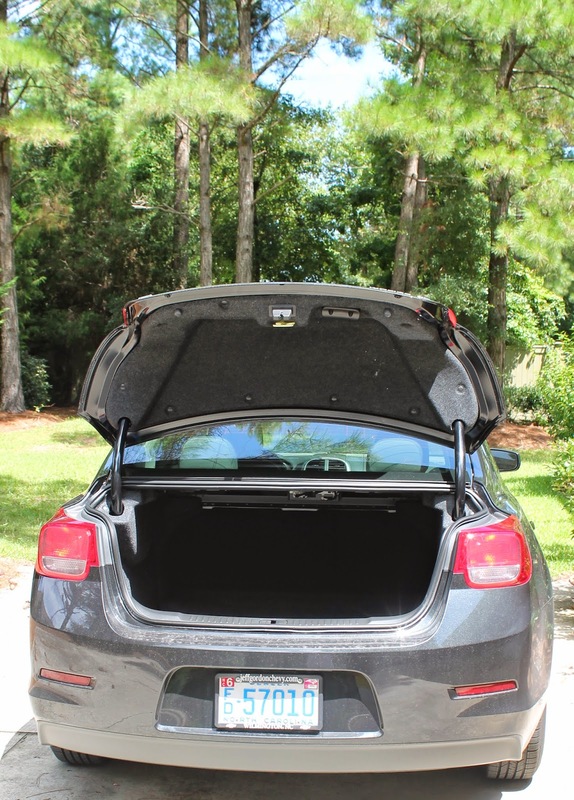 Trunk/Back Compartment Review: The back compartment is pretty standard to that of a small sedan. 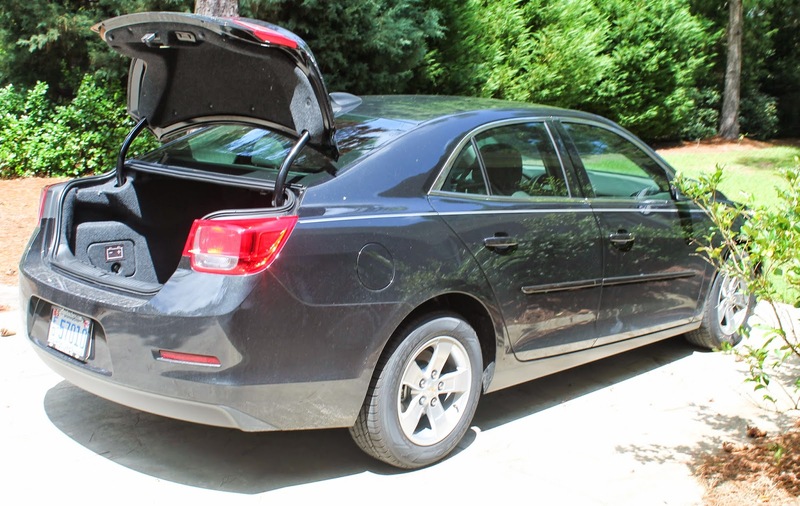 The guys could fit two sets of golf clubs in the trunk with no problem at all. It also has the grocery net and I’m not sure why, but I just love those things! From me to you: Total honesty friends. I really like this car. 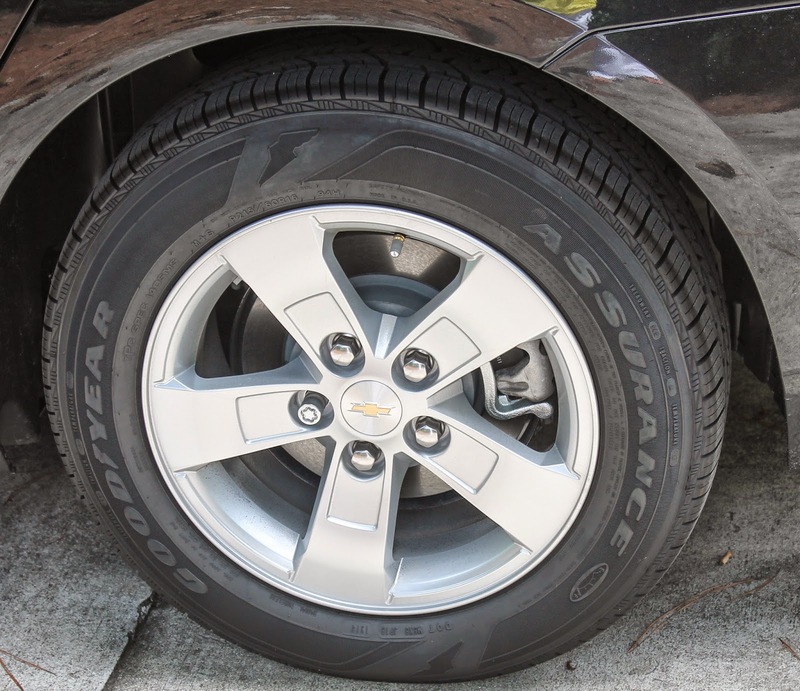 I felt comfortable in it, totally safe and it was so easy for me to drive around town. Is it the right car for our family? No. Matt was uncomfortable driving a smaller car and if we had Georgia and Sevilla with us, things would have been a bit cramped. Who is this car right for? 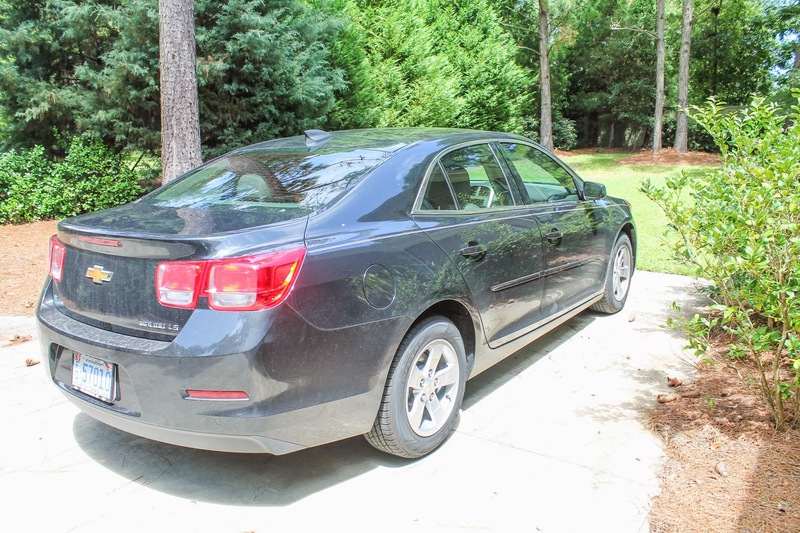 I would say this car is perfect for someone who does a lot of traveling (the gas mileage is AMAZINGGGGGGGG), a single adult or a couple looking for a small, economical, but nice car. If you have kids in college who you visit a lot? This car would make perfect sense! 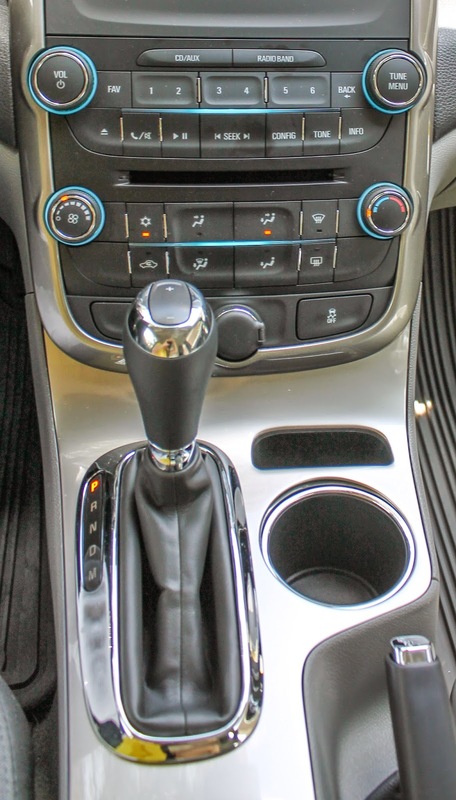 Any one have any experience with a Malibu? What other small sedans do yall like?